The Kettler Axos table tennis table Indoor 3 is equipped with a 19 mm strong special wood board with a special coating. This combination of board and coating ensures good playing features and effective ball spins. The construction is made of 25 mm round tubes and offers a sturdy connection between board, frame (base), and transport carriage. The transport carriage is tightly fixed to the board and has 4 steerable wheels, 2 of it can be fixed. The clearance height (folded table halves) is 1.71m and makes it easy to move inside the living rooms. 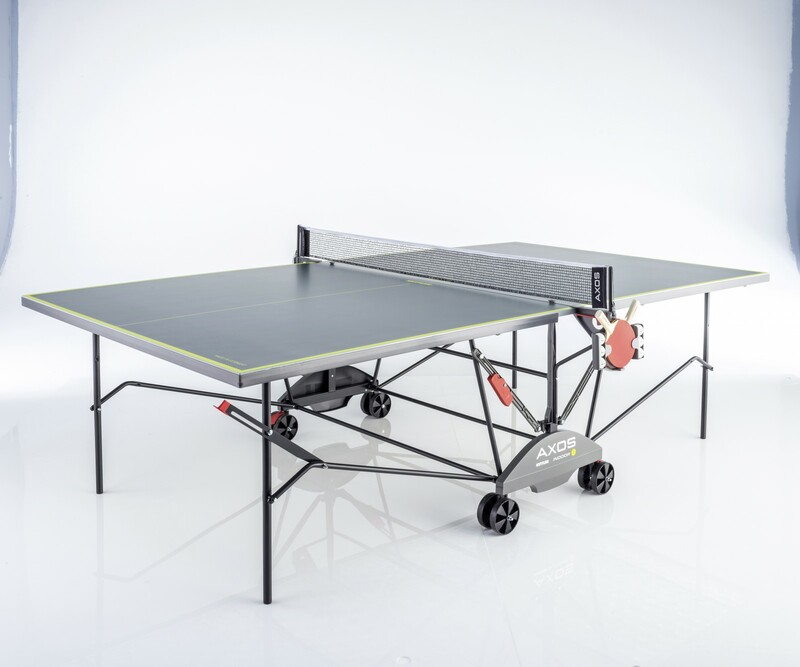 Delivery includes a fixed net with automatic assemble/disassemble mechanism as well as holder for bats and balls. Ik had niet verwacht dat de tafel nog zo stevig is. Wir sind Hobbyspieler und sind mit dem Tisch sehr zufrieden. Würden ihn auch weiterempfehlen. Kettler Axos table tennis table Indoor 3 add to comparison list.